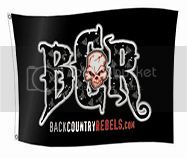 Welcome to the Back Country Rebels - Forums. Mods, fixes, upgrades, how too and how not to!!!!! We all like to see builds from the crate up. Bring us along for the creation. Rebels helping each other get delivered. AVI Info, Clubs, Communications and then some. This forum dedicated to vendors allowing them to showcase their dream. Most users ever online was 12,359, 11-04-2018 at 05:09 AM. The most Rebels online in one day was 1,101, 03-03-2010.